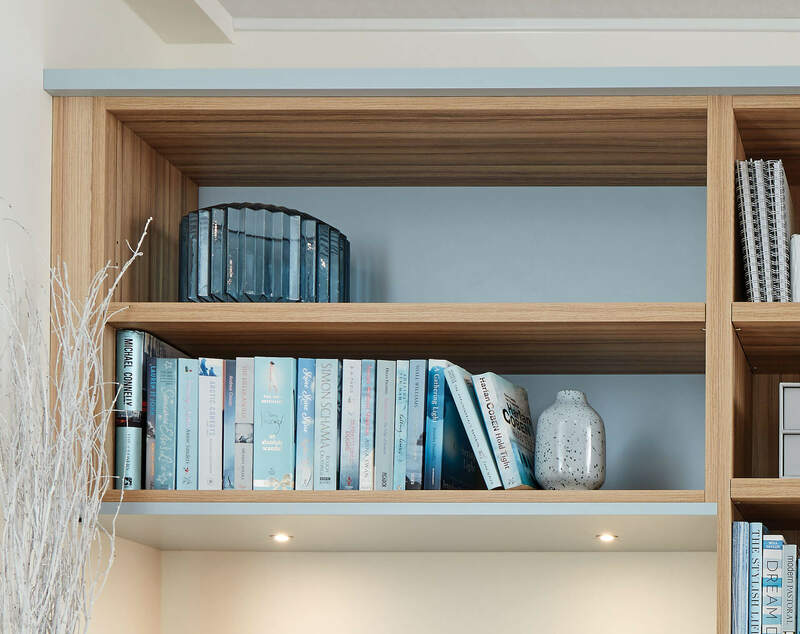 This fitted modern study has been designed with useful storage cabinets and drawers in order to maximise your space, whilst ensuring the furniture blends naturally with the room using curved cabinets. The Roma timber finish and our own specially blended paint colour, Bluebell, work together perfectly. 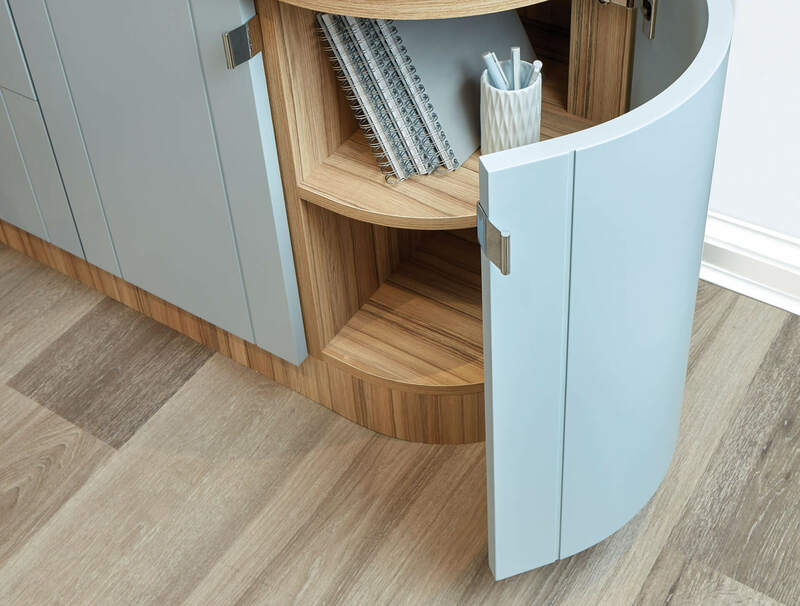 Curved cabinets and shelving soften the overall look of a design, creating smooth lines to ease impact the furniture has in the room. 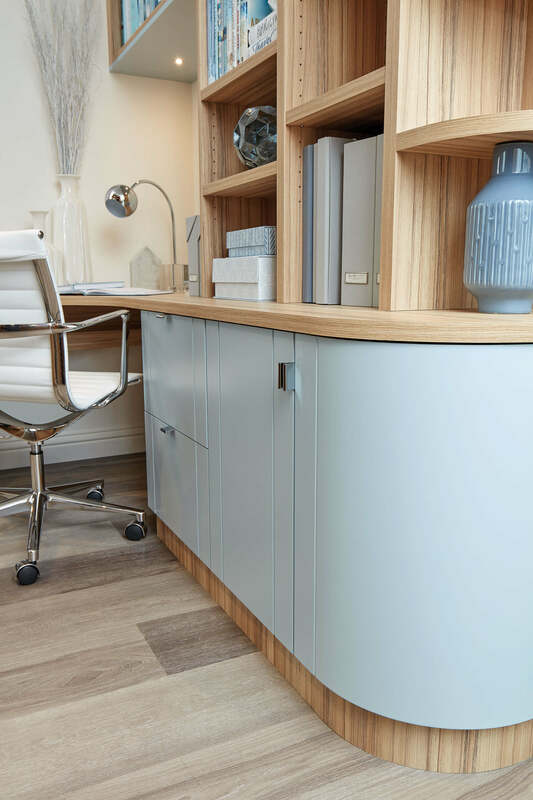 Base level cabinets in a rich Bluebell finish are an elegant option for hidden storage. Carefully considered splashes of colour can bring a whole design to life. It can be pale, muted tones or bright and energetic hues. the choice is yours. Our designers are experts in colour selection and know exactly what combinations work best. 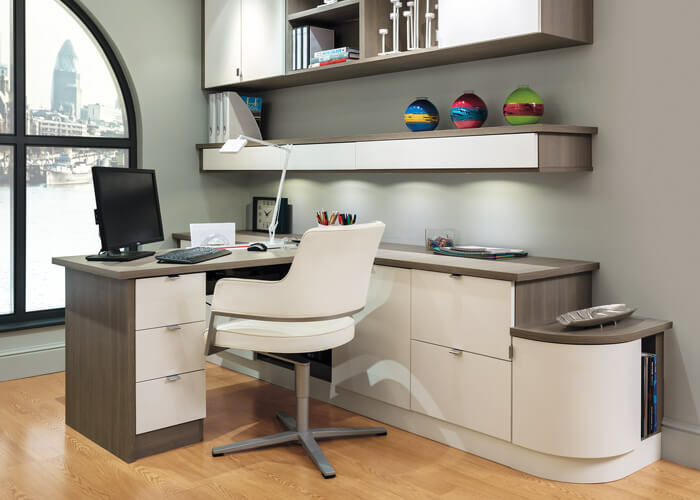 This stunning open plan home study has a combination of open and closed storage. 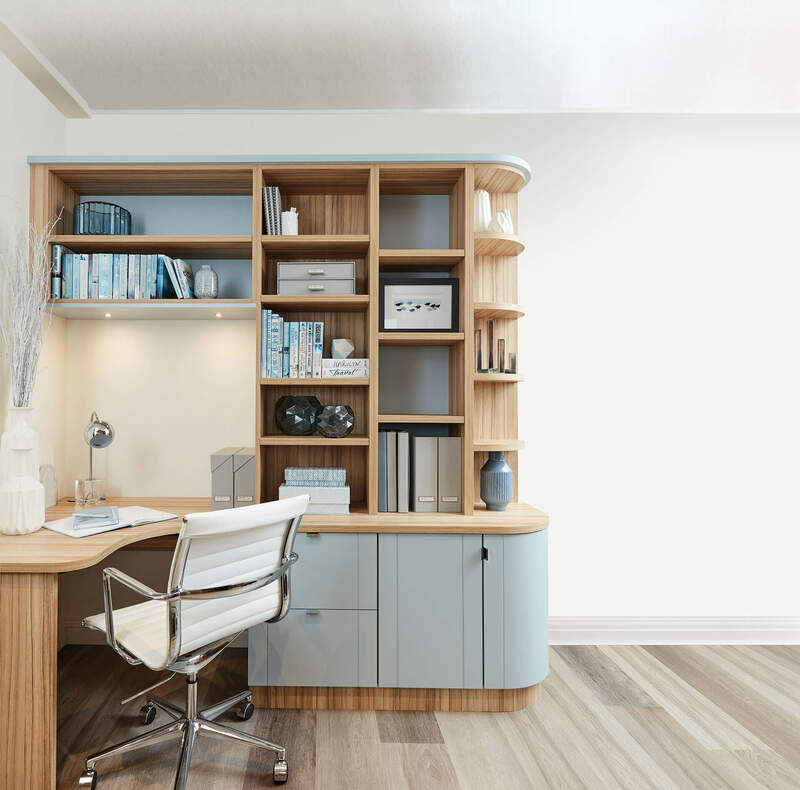 This furniture design concept uses colour and contrasting finishes to create a contemporary home study.